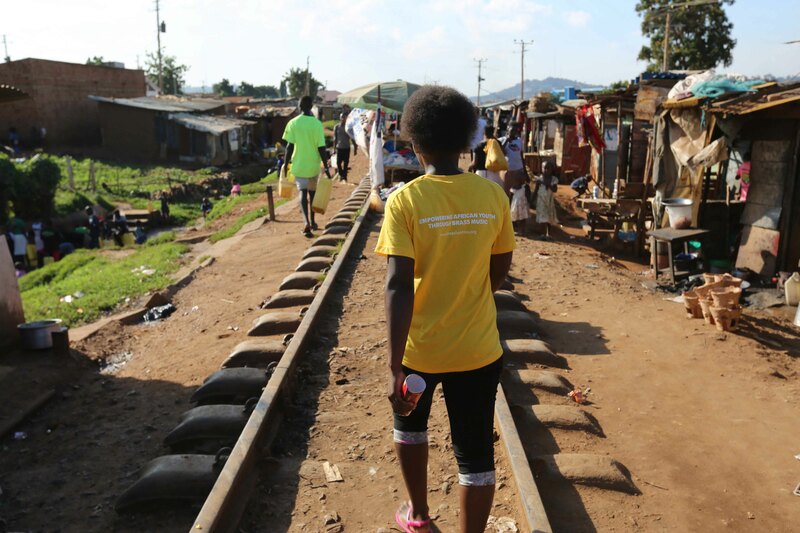 Through the ministry of gender labour and social development, Uganda joined the rest of the world on August 12th 2018 to celebrate the international youth day with the theme: SAFE SPACES FOR YOUTH. This took place at Kampiriginsa national rehabilitation centre in Mpigi district. The United Nations believe that Youth need safe spaces where they can come together, engage in activities related to their diverse needs and interests, participate in decision making processes and freely express themselves. Brass for Africa’s mission is to TRANSFORM THE LIVES OF DISADVANTAGED CHILDREN AND YOUNG PEOPLE IN AFRICA THROUGH MUSIC EDUCATION AND LIFESKILLS TRAINING and as part of that, Brass for Africa started to provide Music and Life skills Training to the children at Kampiriginsa national rehabilitation centre in 2014, this initiative has seen over 300 youths benefit from the programme helping them to raise their confidence, resilience, leadership, problem solving, grit and perseverance, concentration, team work and communication skills through music. 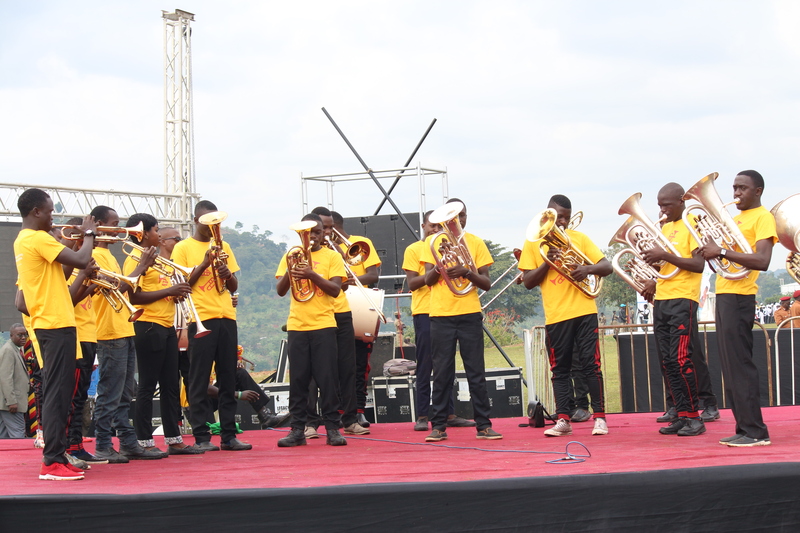 This has empowered them to come together, engage in various activities, participate in decision making processes and freely express themselves and has seen some of the members at the Centre join the Brass for Africa team in positions such as workshop manager (Brass instrument maintenance and repair), Junior Teachers and, Grounds and Office Support. 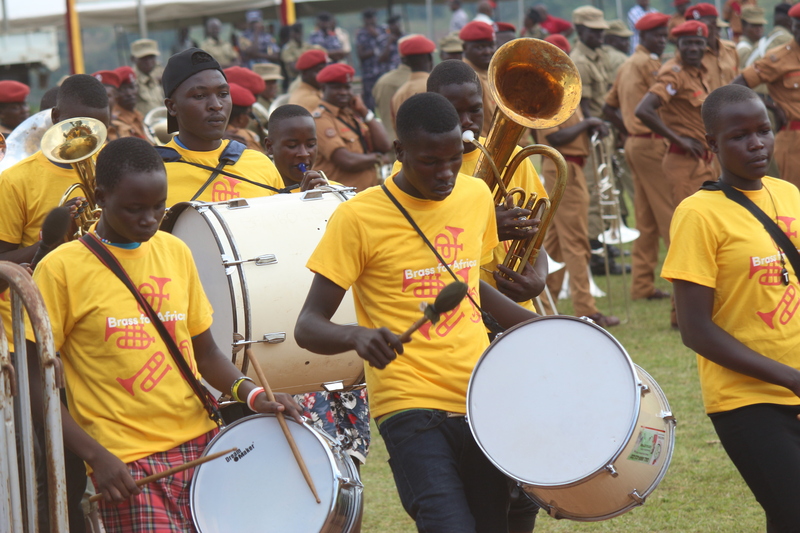 On this day which was graced by His Excellency Yoweri Kaguta Museveni, the President of Uganda, the Kamperingisa Band and Brass for Africa Teachers opened the function with a rocking stage performance and joined the Parade to march and play in front of the dignitaries, including the Prime Minister Dr. Ruhakana Rugunda of Uganda and other State Ministers and Members of Parliament.